If this little pup looks a tad bit wistful, it might be because things didn’t pan out quite as he’d hoped. He longed for unfettered freedom — but instead he ended up at work. While little is known for certain about the pug, or why he ran away from his home in Escobedo, Mexico, we can only guess that the coziness of domestic life was too confining for his adventuresome spirit. This pup evidently wanted to see the world. But he didn't make it far — and the pup's time as a carefree traveler was short-lived. 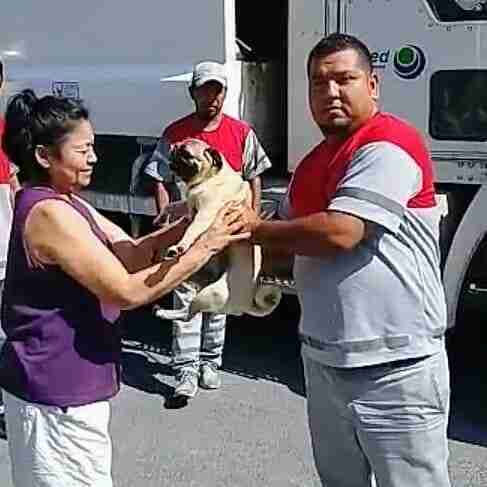 Turns out, a pair of local garbage collectors from Red Ambiental, a waste management service, spotted the dog out and about on his own and decided to "rescue" him. 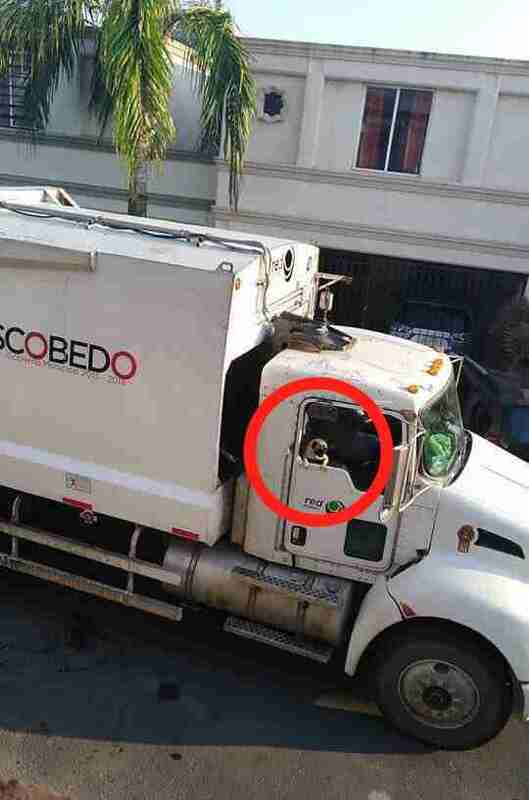 Since he wasn't wearing a collar, they plopped him into the cab of their garbage truck and continued along their route as a trio. 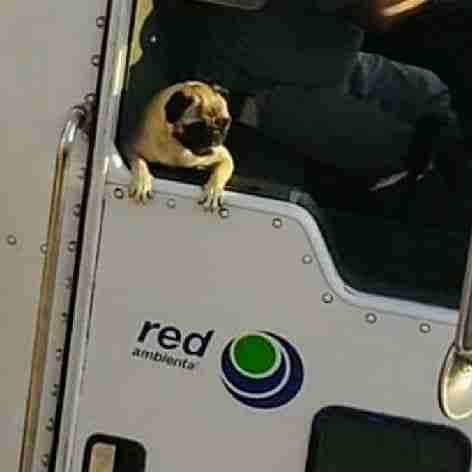 Now, there's a chance that the dog was actually thrilled to have the stinky job — after all, if it was exotic new smells he'd been hoping for, the truck probably had plenty. Unfortunately, even if that were the case, he'd end up disappointed. The garbage collectors found his owner. Of course, in the end, that was the ideal outcome, and now Red Ambiental's post about the incident has gone viral. Hopefully, the little pug is realizing now that home life is actually pretty darn good — perhaps while dreaming about this recent experience, snoring on the couch at 2 o'clock in the afternoon.